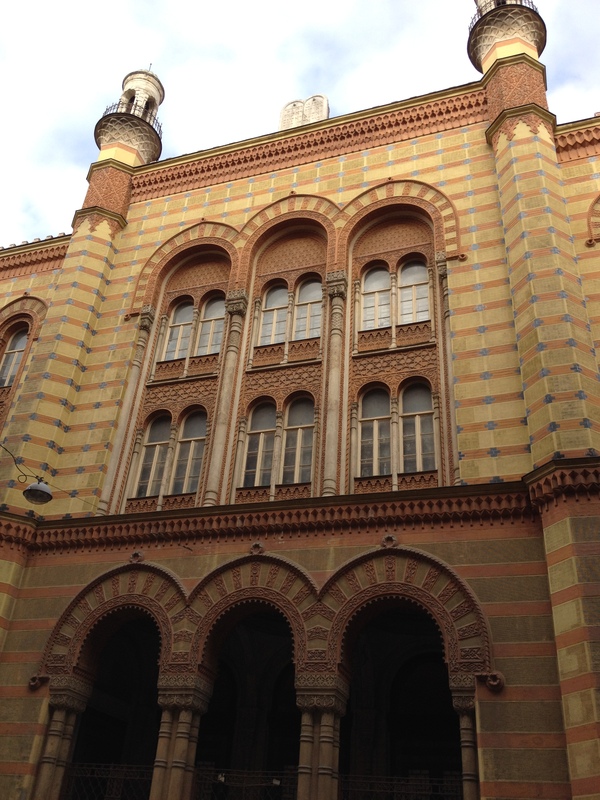 The Great Synagogue on Dohany Street, in Budapest’s 7th district, is the largest one in Europe, and the second largest in the world, and it somehow survived WW2 intact. Maybe due to the fact that Hungary wasn’t a priority to the Nazis, and they sort of left it for last, swooping in only in 1944, when all they could be bothered with was deporting as many Jews as possible to the death camps, and taking down synagogues was so 1938. 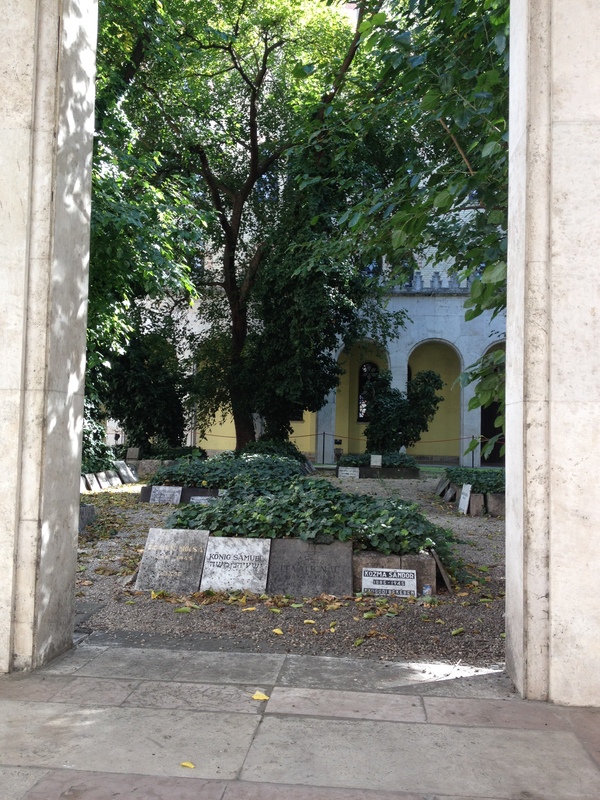 By that same logic, most of the buildings in the old Jewish quarter remained standing, thus giving today’s curious-minded, Jewish-cultural-history-obsessed traveller (me) the chance to stand in the middle of the sidewalk and gape. 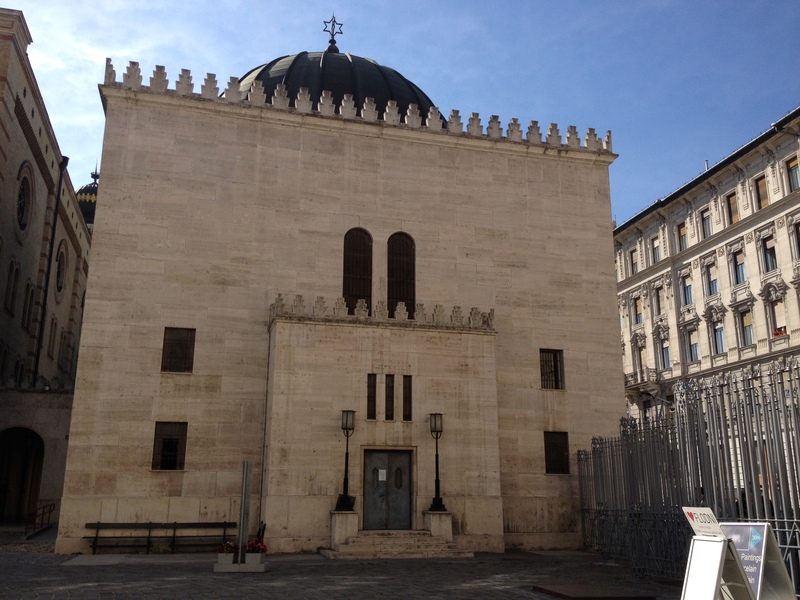 I can’t explain this fascination I have with Jewish architecture and the imprint it left on cities all over Central Europe, including my home town of Zagreb. I love the attention to detail, the use of ornamentation on buildings, the high ceilings in echoey rooms. 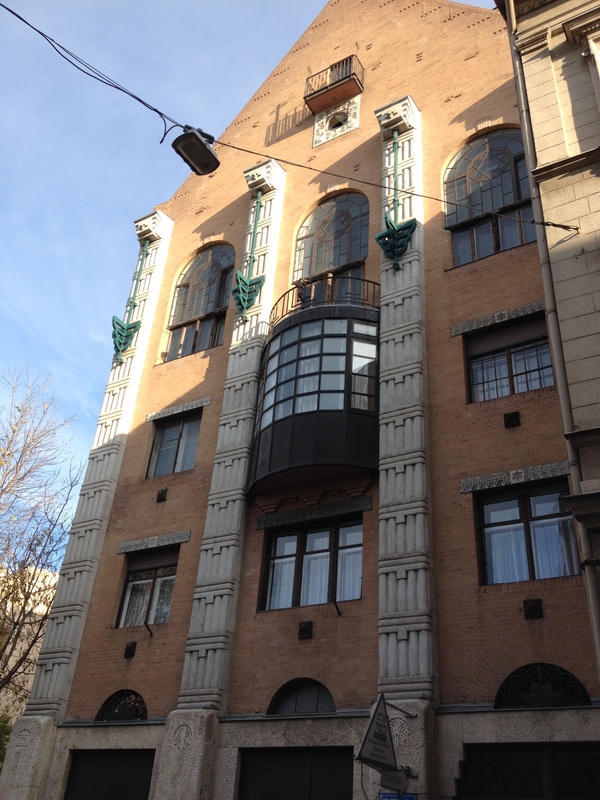 Maybe it’s because it reminds me of my childhood, of visiting relatives and friends who lived in apartments formerly inhabited by Jews, and my parents pointing out to me those distinctive architectural features. I knew those apartments, shops and buildings had been taken away from their rightful owners, and I felt the injustice. I also felt like we were trespassing, a curious sensation in a 7 or 8-year-old. 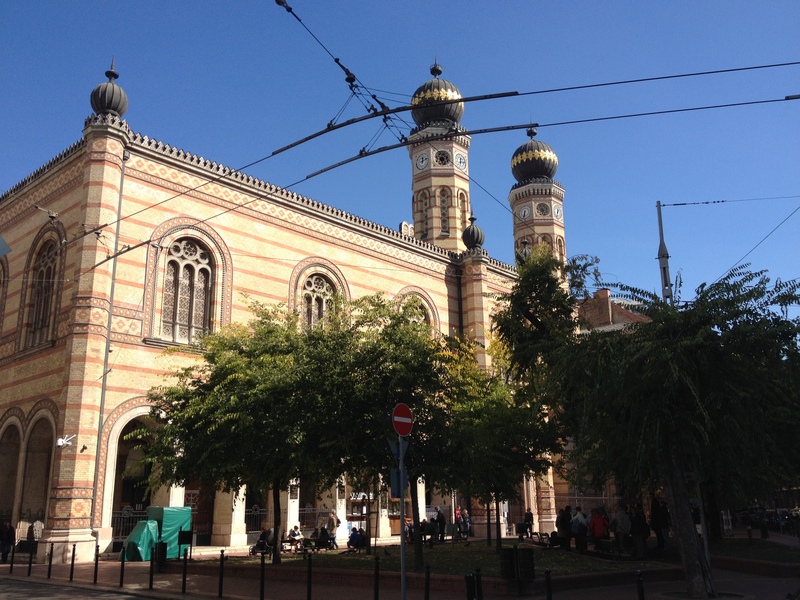 The Orthodox Synagogue, also the last one to be built in between the two wars, is only a little way further, on Kazinczy Street, and it differs from the other two in that it was done in an Art Noveau style. 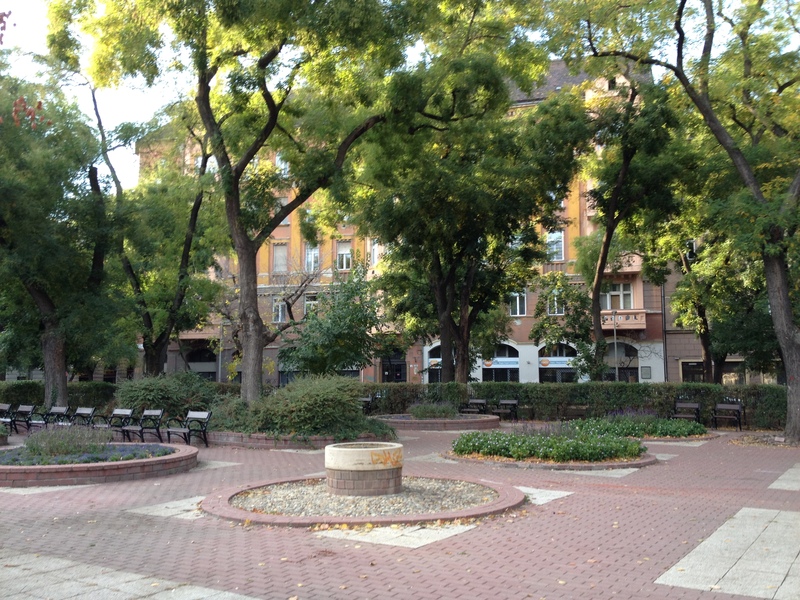 The heart of the historic Jewish quarter, however, is located a little bit further away from the Triangle, on and around Klauzal Ter, a beautiful leafy square surrounded by kosher (and non-) shops, restaurants and a closed market. The buildings around the square somehow seem better preserved than in most other parts of the district, lending it a more stately air. 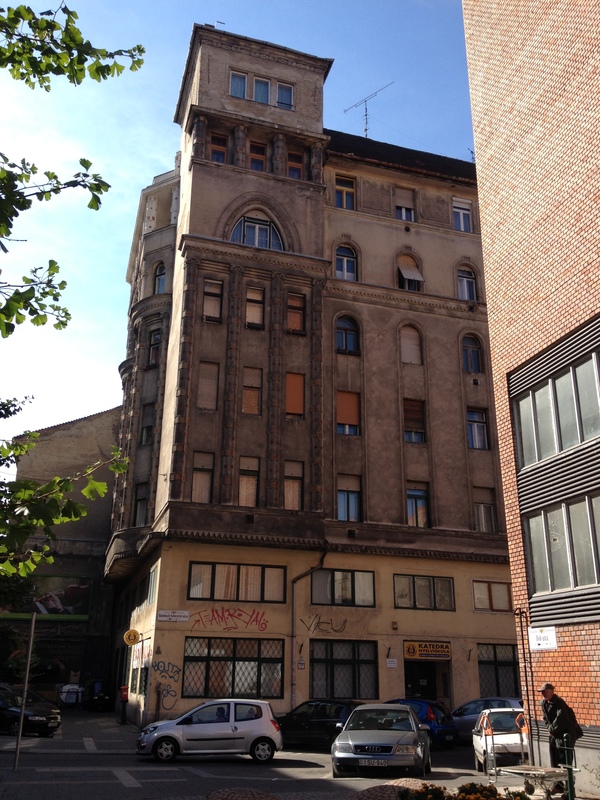 Unlike so many other places in the world that remain stamped with their tragic history, the Jewish quarter in Budapest didn’t strike me as sad and forlorn, despite its mostly dilapidated external aspect. As I mentioned in my previous post, there are ongoing projects for its gentrification (plus the Jewish community seems to have managed to re-establish a pretty strong presence), and its laid-back vibe attracts a young, hip, artistic crowd who don’t seem intent on dwelling on the tragic aspects of its history but are rather looking towards the future. 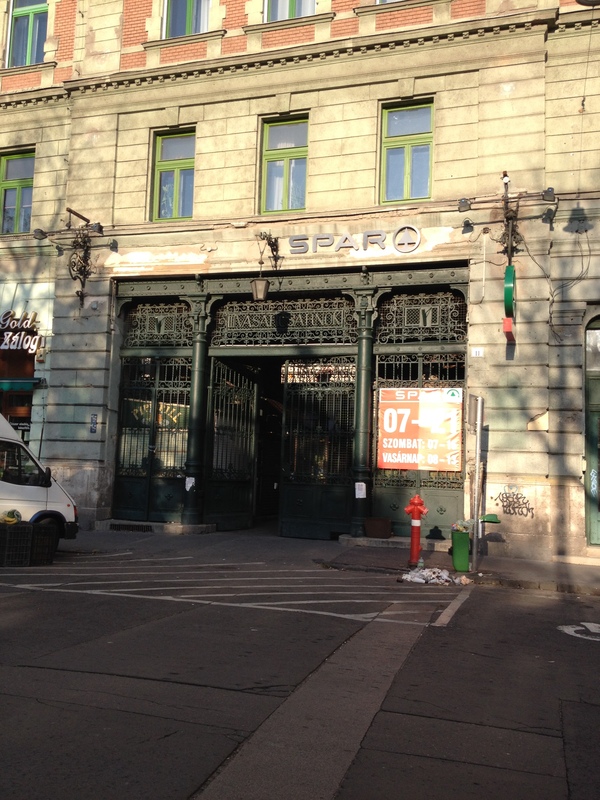 I spent many a Saturday wondering around the 7th district, and since I was based in it, it was the neighborhood I got to know the best in Budapest. That said, I still haven’t explored every nook and cranny in it, and I haven’t tried all of the restaurants and bars that came highly recommended. The ones I did try, though, were fantastic. (More on that in my next post.) 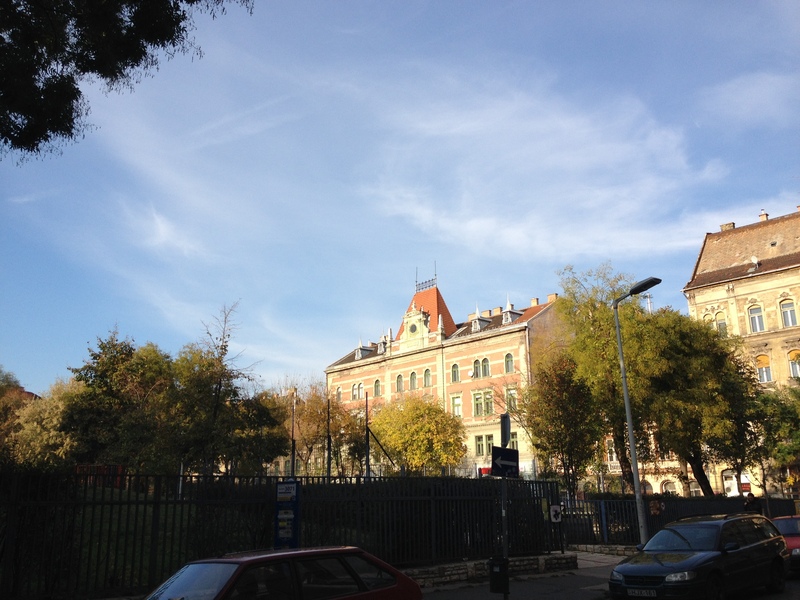 What I can say with certainty is that it’s an excellent base from which to explore Budapest, well connected to the rest of the city by public transport, and bursting with cultural as well as entertainment options. 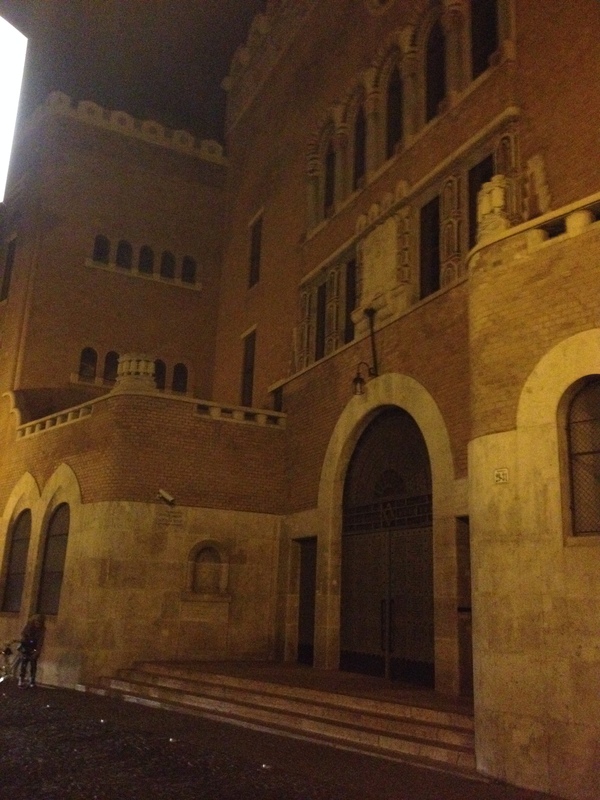 And for the more nerdy types, it also offers a wonderful glimpse into a small but important fragment of this city’s past. All the pictures in this post are mine. If you would like to use any of them, please make a reference to this site.